Here is a quick way to make salsa and guacamole. And you'll see from the images, you don't need a fancy blender! I spent an afternoon with Elvie from Buena Loma Gardens where she showed me some quick recipes using whole foods! 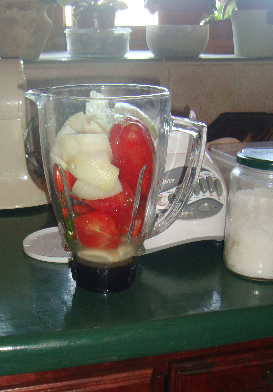 For the salsa base: fresh squeezed lemon juice about 1/4 cup, 1/2 of a large white onion, 5 medium tomatoes, 3 cloves of garlic and one pepper (choose your desired heat level). Blend but not 'til smooth. Pour into a bowl and add 1/2 cup fresh cilantro. Stir. Salsa is ready! 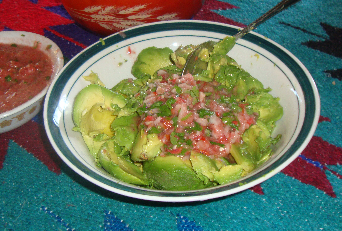 Guacamole: Prepare 6 avocados, pour 1/2 cup of salsa and mix. 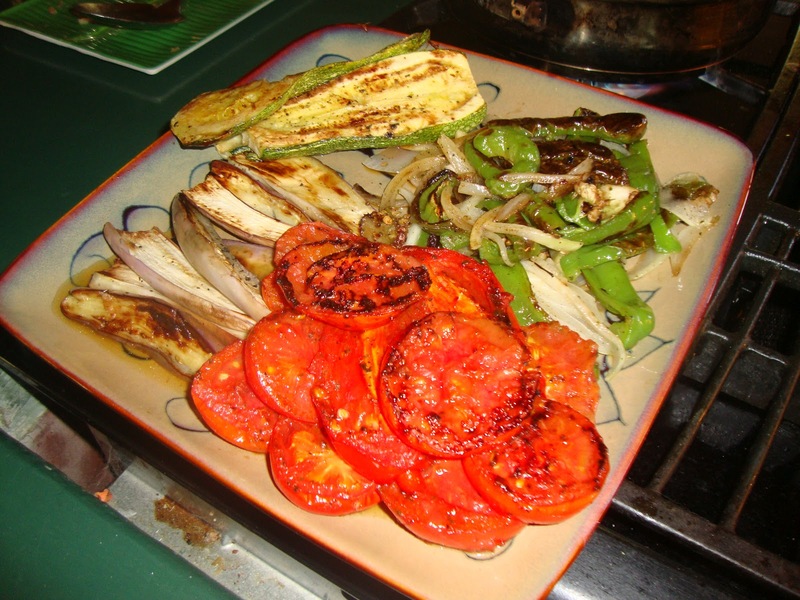 For another healthy, easy dish - roasted organic vegetables (eggplant, bell peppers, onions, tomatoes, and zucchini). We grilled them with sea salt. Yep - that's it. No oils! We served the salsa and guacamole with organic blue corn chips and the roasted veggies with a side of basmati rice. Simple, nutritious, and delicious! As I previously mentioned, I would be creating a separate post on an 'appetizer' I sampled at Buena Loma Gardens. I call it an appetizer because it surely would be a great dish to serve at a dinner party or other event where finger foods are ideal. Slice cucumbers at an angle. Add a dollop of cream cheese and spread evenly on top of cucumbers. Add tomato pesto on top of cream cheese and then sprinkle baked kale. Buon Appetito! How to make tomato pesto: Sun dry your tomatoes or dehydrate. 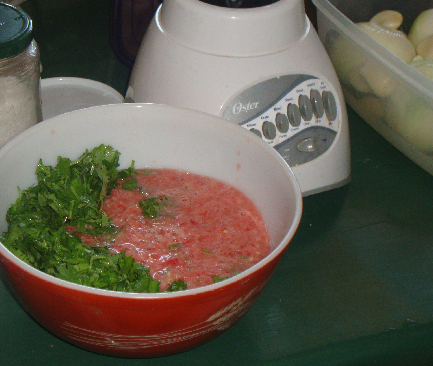 Place the dehydrated tomatoes in a food processor (or vitamix), olive oil (the amount should be equal to the amount of tomatoes you used - not too soupy but not too thick), oregano and other Italian herbs, and garlic salt (or fresh minced garlic). Optional: add roasted peppers. Make a big batch and freeze extras. Baked kale: Remove stems, add olive oil, salt, and garlic to the kale and bake at 275 degrees for 30-40 minutes. You can add the tomato pesto before baking or once it's already out. It is a superb dish. I hope you'll try it!